← Page 152/365 : The Next Doctor Who? Well it looks like my claim to be the next Doctor Who stirred things up. Had a bit influx of visitors yesterday, and even Real Radio Breakfast Show’s Gayle said she would back me! Haha. Can you imagine me on BBC every week without my arse showing like it was on Total Wipeout?!? Today we go up dead early and headed over to the Airport car boot before going to Dewsbury Rams for the one there too. 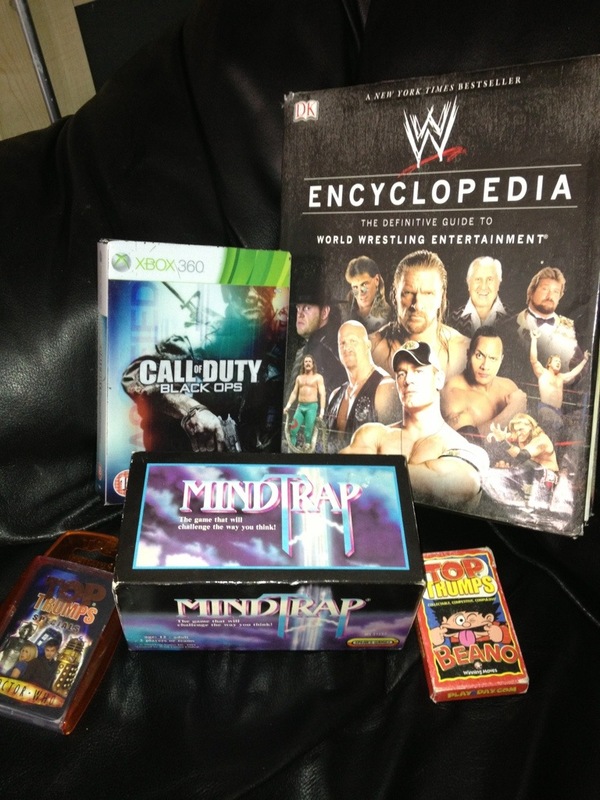 I bought Call Of Duty Black Ops hardened edition, the WWE Encyclopaedia, Mindtrap game, and two packs of Top Trumps. Only spent £7.50 in total. Bargain! Did see this however. Imagine stuffing those pockets with different types of sweets and going to the cinema. You could be your own walking talking Pick n Mix man! 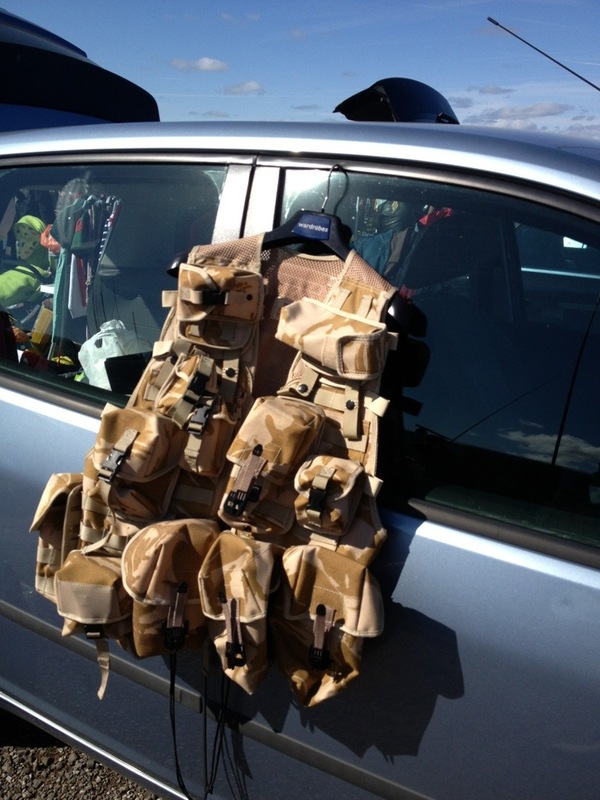 This entry was posted in 2013, 365, TV and tagged Airport Car Boot Sale, Car Boot, Dewsbury Rams Car Boot, Doctor Who, Fat Doctor Who, Matt Smith. Bookmark the permalink.